We are thrilled to have our article sponsored on KSL! Thank you!!! Being able to help others understand what is going on inside is what we love. Stop guessing and start making better choices in health. Our comprehensive blood we order for you gives us a deeper understanding to your body and what could be optimized for better health. Stop guessing which supplements are best for you. Call to discuss next steps or book your appointment today! Curious if you might benefit from hormone balance? Click the button below! In today’s world, countless advancements have cured diseases and prevented health problems. But even as medical science progresses, its practitioners can improve how they approach treating their patients. For instance, many medical conditions require more than basic, textbook treatments. Some patients might need only a slight diet adjustment, while others may require further tests and the application of a wider range of therapies. One example is the use of advanced hormone therapy. One of the most common applications of hormone therapy is to help with changes that come with menopause: hot flashes, night sweats, irritability and vaginal dryness. But everyone has hormones that regulate countless functions in the body, including sleep and stress levels, according to the Hormone Health Network. A wide range of hormone imbalance can result in a dizzying array of symptoms. This is why hormone balancing therapies can benefit many women and men. For women, benefits of hormone therapy include the avoidance of osteoporosis and reduced symptoms of menopause. Both pre- and postmenopausal women can benefit from hormone therapies, but they should make sure their prescribing provider has knowledge of their medical history. 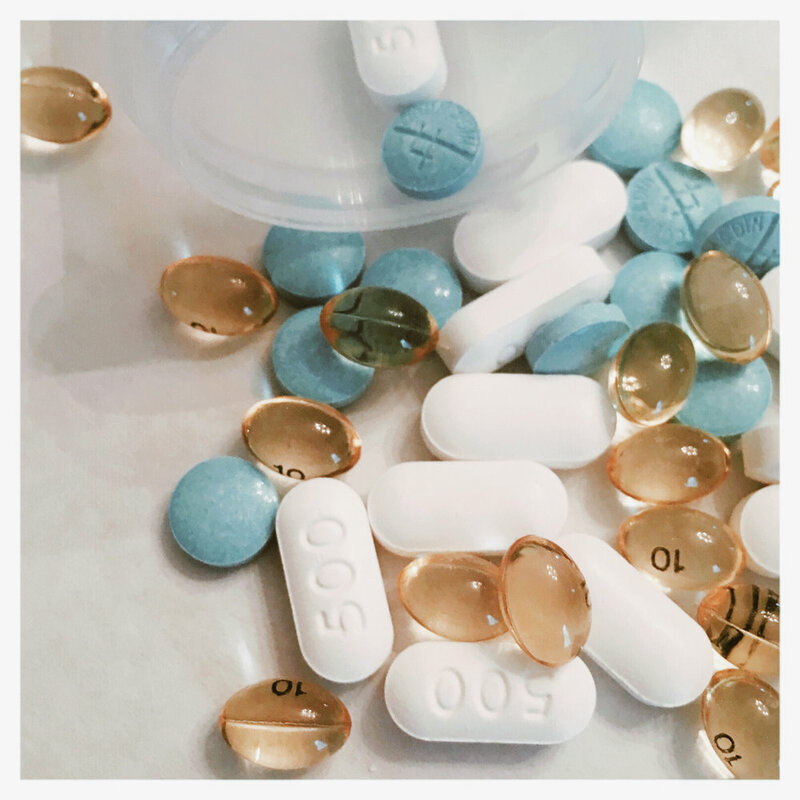 As with any medication, benefits must be weighed against risks, such as higher risks of breast and uterine cancer and strokes, as the North American Menopause Society notes. Finding the right practitioner helps in weighing these risks. People with hormone-related problems or hormone imbalances may spend years looking for solutions from health care providers, only to be met with the same difficulties again and again: treating the symptoms and not the cause, having a practitioner perform only the most basic tests and facing a general lack of concern and understanding. Most people know when something is wrong, but they have difficulty verbalizing it in medical vernacular. Only a provider who truly listens and asks the right questions can help solve the mystery and move forward with the right treatment. Your initial phone call is promptly answered by a knowledgeable receptionist who asks you specific, yet simple, questions about your health and well-being. A patient portal is then created where you can complete a symptom checklist before you even visit the office. Based on your responses, the clinic orders a series of tests you can complete at a nearby lab. Vitamin levels such as B12 and D2. With 13 tests total, your provider will then be able to get a basic idea of potential problems as well as possibilities for solutions. After all, knowledge is power (for you and your provider). After the test results come back, you can schedule an in-office evaluation to talk about your results. On a day and at a time that works for you, you’ll visit the office. The staff members are friendly and excited to meet you and your wait time is brief. You feel your time is valued, and the office has a relaxing feel. Your personalized consultation may range from 45 to 55 minutes. Your provider reviews your information with you, including the symptom checklist and lab results. Based on your data, you and your practitioner will discuss how to improve symptoms. This visit isn’t so much to assess what’s wrong as to discuss the lab results and how to reach optimal hormone and vitamin levels. Education on an individual level is stressed, meaning you can ask questions, learn more about solutions and rely on a listening and open participant in helping you achieve meaningful results. Your whole health is considered in the visit. For example, if you are vitamin-deficient, this would show in the test results. Your provider would point this out and you both would discuss the right supplements and foods to add to your diet. Solutions are customized to fit your diet preferences and day-to-day lifestyle. Once you have developed a treatment plan you and your provider are comfortable with, you’ll leave the office knowing your situation and how you can change it for the better. If you're doubtful that a doctor's appointment could go this way for you, consider the power of a listening provider who knows about you as an individual. Unlike other appointments you may have experienced where you didn’t feel heard but only pressured, your visit should educate you about your health and how to improve it. Find the motivation and empowerment you seek for your personal health by visiting a provider who listens to you and your needs from the beginning. Whether you are concerned about your thyroid function or are seeking specific hormone therapies, help and understanding are available. Your next doctor’s visit can be pleasant, informative and empowering. Visit Aviva Woman to learn more or to schedule a consultation today. What you may see as deliberate unavailability from your partner may actually be a lack of bioavailability. Aviva Woman in Salt Lake City, Utah is proudly offering age management services for HIM + HER with bio-identical identical hormone therapy pellets. We offer FREE consultations to answer all your questions and ensure that hormone pellets are the right method of age management for you. Our hormone pellet system is customized for each unique individual. We order a blood panel test before creating a hormone plan. This helps our hormone experts create the correct dosing for you, we like to take the guess work of trial and error out of the equation as much as possible. After you have received your pellets, we order a smaller round of lab work to make sure you are at the optimized level of hormonal balance. Click here to learn more about bio-identical hormone therapy.